M-16 Full Auto Bolt Carrier Assy with Bolt. As determined by ATF these are legal for your AR-15 Rifle. The full auto carrier is heavier and provides a lower cyclic rate thus making your rifle run a little smoother. This is shipped from a different supplier than our kits and should be ordered seperate. These carriers are made by a military subcontractor and are machined to Mil-Spec, have chrome lined carrier key, chrome lined inside carrier, properly staked. 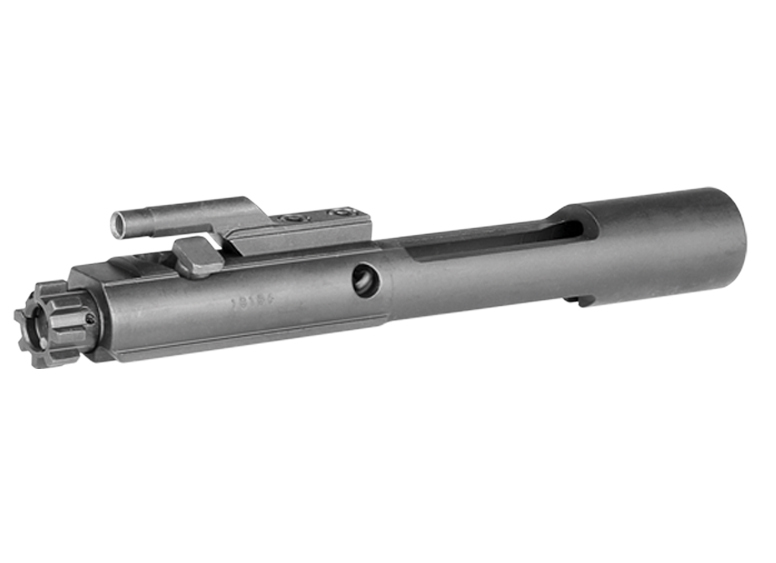 This bolt carrier includes cam pin, firing pin, bolt, retaining pin, carrier key, and bolt carrier. This is fully assembled ready to drop into your upper receiver.